We still have some new holiday homes available that need to be cleared. Massive reductions can be had on this current stock. All new stock caravans have been reduced by £3,000 and cash buyers can save up to £5,000 off the sited price. 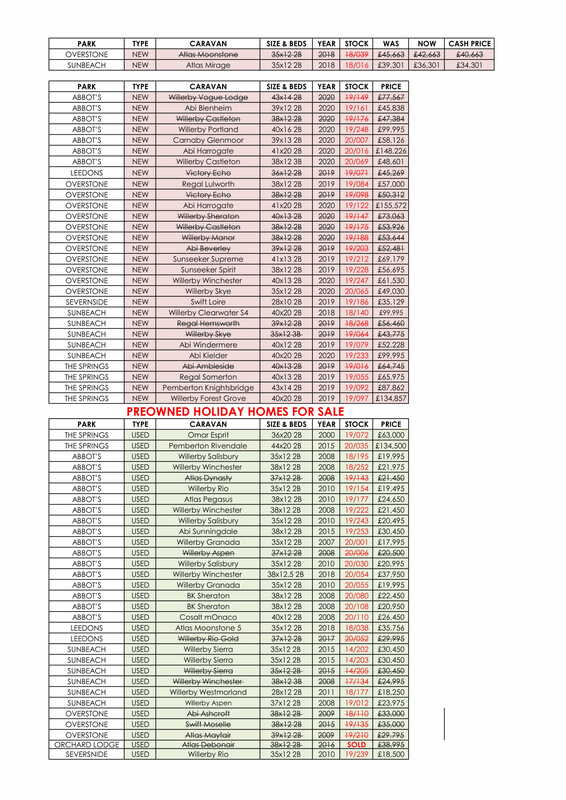 Selected number of preowned holiday homes have also been reduced and have been marked with a red star (★). We also have some great finance deals available so please speak to a member of the sales staff for full details. This sale will end when our current stock runs out. So don't hesitate because these low prices won’t be repeated again and when they are gone they are gone!